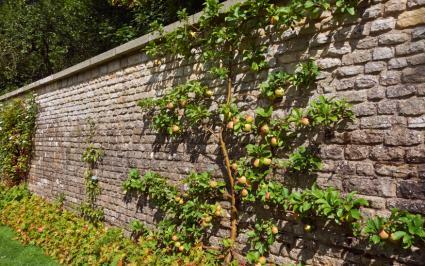 Stone and masonry walls have long been part of the garden designer's palette, and play a part in creating some of the most charming outdoor environments. Depending on how they are used, they also perform important functions like holding up steep slopes and providing privacy. There's a lot to know about walls and it starts with understanding the different materials that come into play. Concrete block walls are the most common in use today. There are three main types, but within each are a wide range of possibilities in terms of style, texture, and appearance. Poured concrete is a great approach for curved walls, as concrete forms can be constructed in almost any shape imaginable; the concrete can be dyed and textured in a variety of ways as well. Concrete masonry unit walls use standard cinder blocks for the basis. However, they can be faced in a number of ways, including paint, stucco, and natural stone facades. 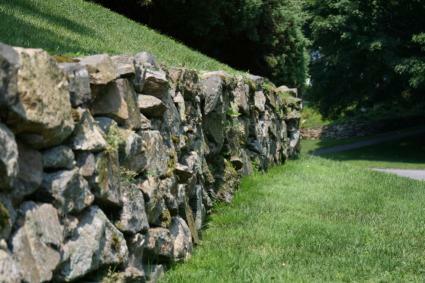 Interlocking wall blocks are most often used for low retaining walls. They are similar to cinder blocks but they are prefabricated with an ornamental facade and are designed to fit together in an interlocking pattern that adds to their stability. 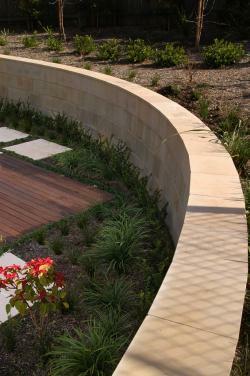 Natural stone is a classy choice for garden walls, though it can be quite expensive. 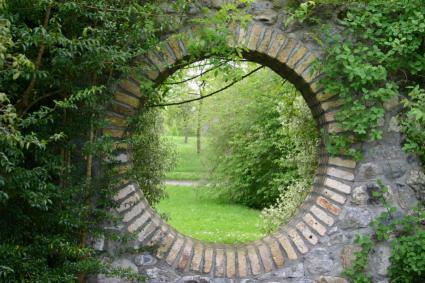 Stone can be dry-stacked, meaning it is laid without mortar, or each individual stone can be held in place with mortar. 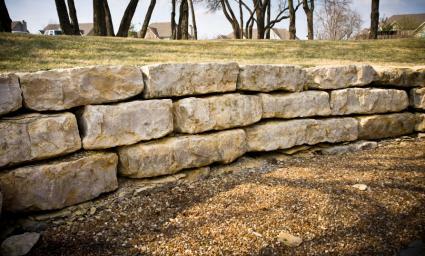 Small fieldstones are a good choice for dry-stacked retaining walls under the feet in height, the standard that is allowed in most building codes for mortarless walls. Granite slabs are great for mortaring together into taller free-standing walls. Larger boulders can also be laid end to end for an informal retaining wall where the heft of the stones is what holds them in place rather than mortar. Brick privacy walls are not as popular as they once were, but they have a historic elegance that is hard to beat. They require mortar and a high degree of masonry skill to pull off successfully, however. Walls have innumerable practical uses, but beyond their function they give definition to the landscape. The strong lines of a wall can be used to create a sense of enclosure, like an outdoor room, or used to divide up in the landscape in other ways. They lead the eye in a commanding way, so think carefully about the effect you want to achieve when planning your wall project. Height, shape (curvilinear or rectilinear), color, and texture are important components of wall design. 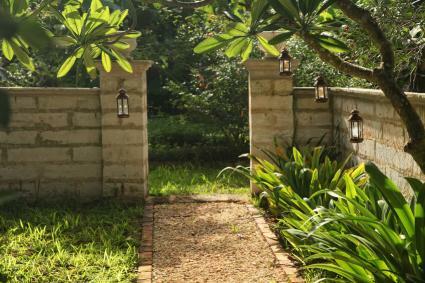 Plus, you can consider accessories, such as planters, benches and lighting, and custom features - like an arched entryway, niches, or artistic components - to make a one-of-a-kind garden feature. To deter prying eyes, walls need to be at least six feet tall, though to keep it from feeling too ominous you could also consider a shorter wall coupled with an evergreen hedge. If the goal is to have something that people can't climb over it needs to be at least seven feet tall or incorporate some type of pointed wrought iron along the top to deter intruders. Any wall over four feet tall looks best with vegetation in the foreground to soften the harsh angle between the vertical surface and the ground plane. Training vines on a large wall is also highly recommended to help them blend into the landscape. These are low walls between two and four feet that are generally less functional in nature and more about creating aesthetic divisions. That being said, they may function to contain a small dog or as a seating surface. A low wall can also be the base for certain styles of wrought iron fencing. 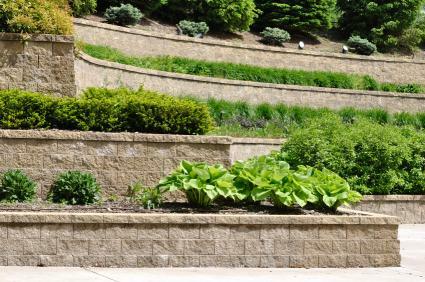 Nothing transforms steep, unusable land into flat usable space like a retaining wall. Build them straight and angular for slopes with a consistent pitch or plan a wall with sweeping curves to match undulating topography. A retaining wall between 16 and 24 inches in height will double as an elongated bench if you use a flat cap block on top. Walls over three feet in height generally require a building permit and are best left to a qualified landscape contractor. Extensive knowledge is required to engineer taller walls for safety and durability so make sure you find someone that specializes in this type of construction and carries the proper insurance. 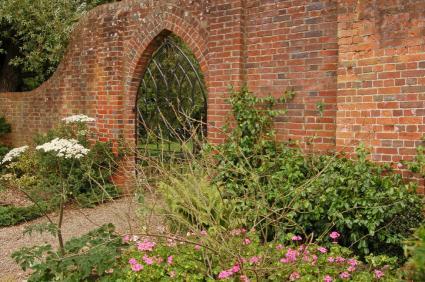 Walls are a timeless garden feature. Use them to create a sense of order, a sense of mystery or a sense of protection. However you use walls in the landscape, enjoy the process of designing something meaningful - it will be there for a long time.